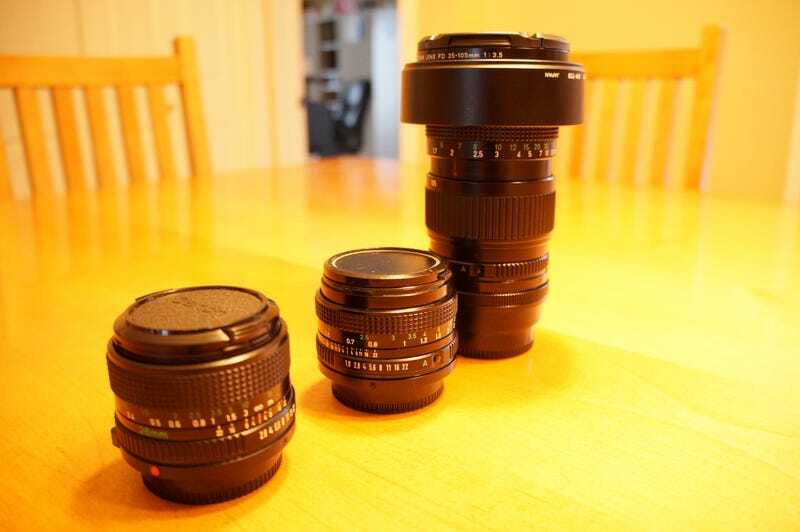 Finally acquired some extra lenses to supplement the 18-55mm kit lens on my NEX-5R. I got a 28mm F2.8, 50mm f1.8 and 35-105mm f3.5, all Canon FD lenses, and an E-mount to FD adapter for less than $200 CAD. Not bad I say, not bad at all. I shall call it ‘dog looking at stuff’. My first impression is that it is a lot of lens for such a small and light body. It is a bit awkward and somewhat hard to manage holding it without turning the zoom or focus barrels. Nonetheless, I am pleased with this result.